What makes the world’s longest-running offshore international fireworks competition such a success each year, aside from its gorgeous setting in Vancouver’s English Bay, is the festivities that surround it. Food trucks, picnics, family fun, and the free SHOREFEST concerts all along the waterfront. 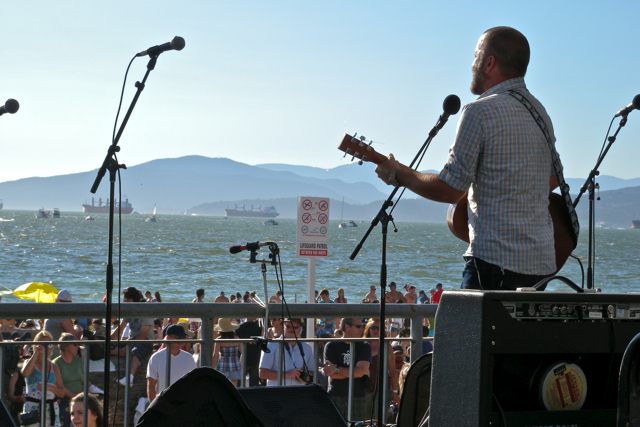 English Bay and Sunset Beach will host stages featuring a diverse lineup of cross-genre Canadian talent showcased on July 23, July 27, and July 30 at LG 104.3’s SHOREFEST this year. SHOREFEST showcases great local and national talent within the LG 104.3 Stage at the Keg Lounge in English Bay and the Sunset Beach Stage at beautiful Sunset Beach. This year’s headliner is multi-platinum and 80’s iconic Canadian rock band, Loverboy. In addition, LG 104.3’s SHOREFEST features Jim Byrnes & Friends, The Matinee, and JUNO Award® winner Trooper to get the crowd amped for the Honda Celebration of Light Fireworks competition. Festivities start at 2:00pm each fireworks day. Follow the Honda Celebration of Light on Facebook, Twitter, and Instagram for more information. What time do the concerts start. Main bands. What time are the boom booms on on the 27th?? What a great way to miss an awesome concert. Not one website seems to list the TIME for any of these concerts. You do have a point! At the time of publishing the set times were not available but I have gone through and updated each one. Headliners are up at 7:30pm on the Sunset Beach Stage, and at 8:30pm at the English Bay Stage.